2015 Community Festival for then Medical Centre: More than $11,000 was raised. Thank you , everyone! Enjoy the pictures. Supper and Magic Show, September 14, 2013: Over 200 supporters participate! 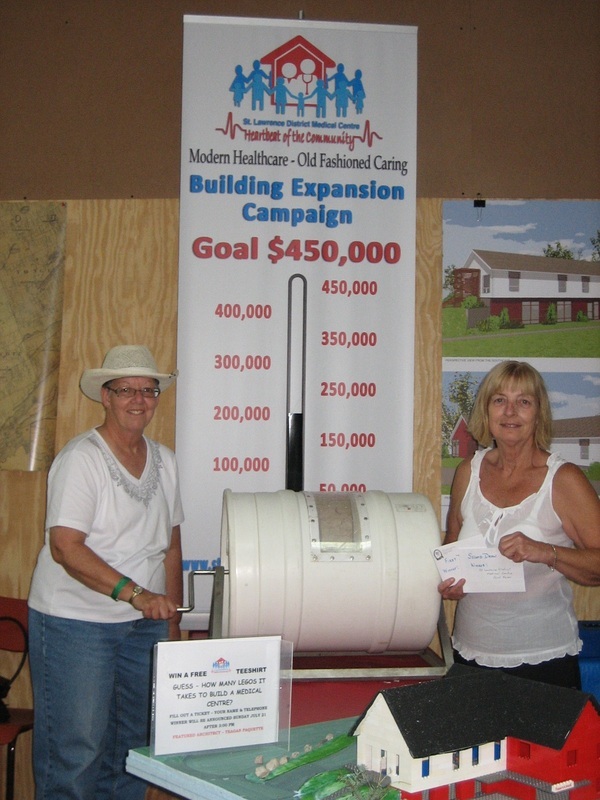 President Heather Cross and Fundraising Champion Brenda Duffy at the Golf Draw at the Fair. Note the Leggo Model of the expansion.